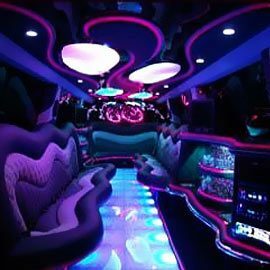 Our Party Bus rental service is the premier choice for outings in Memphis, TN. Our limousine rentals come equipped with tons of convenient features for you. Our limo buses come equipped with tons of convenient features for your ride. Perfect for bar hopping, sporting events, proms, weddings, and all occasions. Memphis Party Bus welcomes you! When you are traveling in Tennessee, there is no better way to see the sights and entertain all your friends at the same time than by traveling in a luxurious party bus! Our vehicles are packed with all the most popular features (see the box below for more info!) 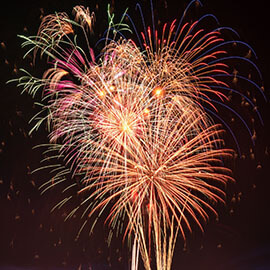 to really make your outing a memorable one! From unforgettable entertainment features including LCD TV with Blu-Ray and stereo systems, to built-in bars and high quality leather and granite furnishings, we've got everything you need for comfort! One of the most popular reasons to rent a limo bus from Party Bus Memphis is because your friends can all travel together in a luxury limousine or limo bus, and nobody has to be stuck as the designated driver! Our courteous, professional chauffeurs are trained to give you the best possible experience during a night on the town, and you can rest assured knowing that they really are the best of the best. No matter the special occasion, from bachelorette parties, sporting events, prom night, homecoming, anniversaries, concerts, or just to take you to a party! No worries about parking or traffic either! Pure fun. We'd love for you to come down and take a look at our luxury vehicles in person, or you can just call us today and describe the type of event or special day you're planning, the number of guests you expect to be in your limo rental, and the desired date to book a limo. We're experts at determining which party limo or limousine bus would be best for you, and all it takes is a very fast and painless credit card deposit over the phone to lock in your date! Feel free to browse our site for all the information that you need, and then get in touch with us when you're ready to book your group transportation! 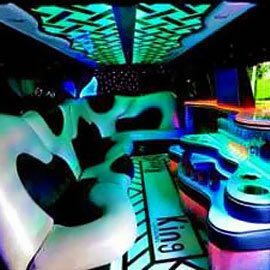 If you made it to our site and you're from outside of the area try Party Bus Detroit and Detroit Party Bus for party bus service in the motor city area. 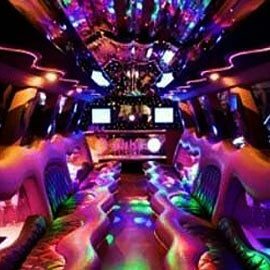 For a company in New York try New York Party Bus. If you're out on the west coast try Seattle Party Bus or San Francisco Party Bus. We consider ourselves lucky to have such amazing customers who call us up time after time for all their special events as the years go by. Once you've experienced our high quality service and affordable prices, we believe that you'll trust us with your future events and know that we're the first ones to call for memory-making events like weddings and nights on the town. Here are just a few of our most popular events, and you can click on our Events page to find out even more about the parties that we most typically serve! Weddings - We have the most amazing wedding transportation in the area, hands down. We've got the elegant vehicles that you're after and the kind of professional service that is hard to find elsewhere. This is the most special day of your life and you certainly do not want to entrust it to just any local company! Only the best for you. 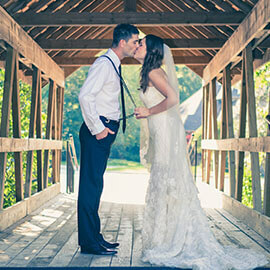 We've got unique wedding packages that include 'just married' signs, champagne, and bottled water for your passengers to stay hydrated and refreshed as you travel! 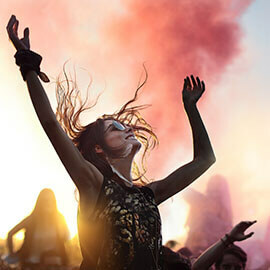 Concerts & Music Events - Everyone loves to take advantage of our services for concerts and music events because you can outright eliminate the concerns about traffic and parking and just enjoy a full VIP experience, being dropped off and picked back up at the door. You'll love checking out the entire Memphis music scene and heading out to your favorite bars and night clubs after the concert has wrapped up. Fill the party bus with the sweet sounds of your favorite artists, bumping loud and clear through our high quality stereo systems. You can even watch music videos on our HDTVs if you like! Bachelor & Bachelorette Parties - These pre-wedding celebrations come in all styles these days, from traditional to modern and everything in between. Whatever you've got in mind, we can facilitate it for you. We do a lot of spa days for our soon-to-be brides, working in shopping trips into a day-long pampering experience! We also do a lot of wild bachelorette parties and crazy bachelor parties, and even a lot of co-ed pre-wedding get-togethers where the bride and groom celebrate together with all their friends! Whatever you've got in mind, you can rest assured knowing that our vehicles and chauffeurs will only add to the fun that you'll have. 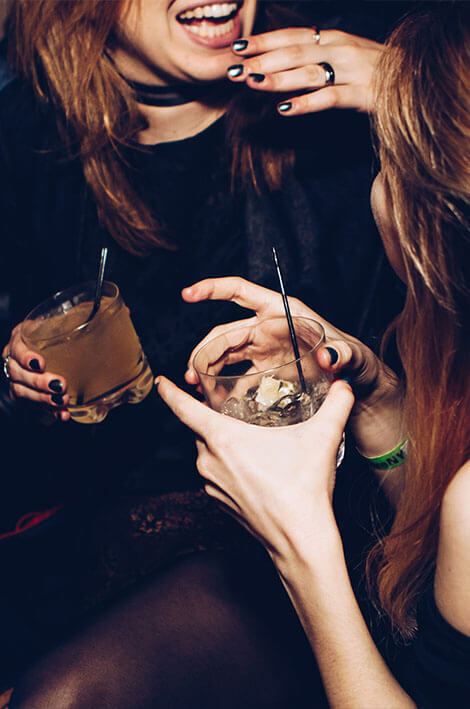 Club Hopping & Pub Crawls - This just might be the most frequent reason for people to choose our services, simply for the benefit of being able to party in between destinations (alcohol is totally legal on board as long as your whole party is 21+) and for the fact that you won't have to worry about having a designated driver! Everyone in your party can get wild and crazy and still know that they are definitely going to get home in one piece. Our entertainment features make it feel like you've got your own private VIP room on wheels! Arrive at FedEx Forum for a Memphis Grizzles like a MVP. 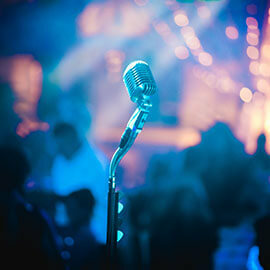 Experience our wonderful music scene with VIP treatment. You and your friends deserve a night out on the town in style. Start your wedding off right with the right wedding limo service. We feature only the highest quality sound systems and booming speakers so you can really enjoy your music! Cup holders to prevent any spills on the road! ...and CD/MP3 players for you to take advantage of when you want to enjoy your favorite tunes! Just bring your fave CDs and/or your iPod or MP3 player! © Copyright 2018 MemphisPartyBus.com. All Rights Reserved.